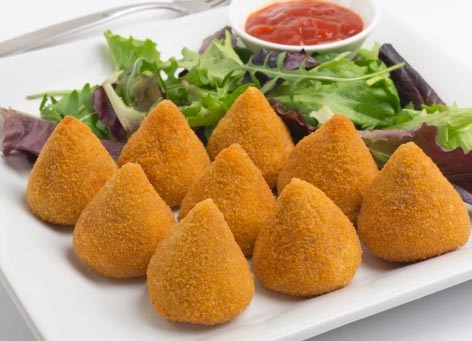 In portuguese, the word "salgadinhos" or "tira-gostos" means appetizers; and brazilians are proud of their recipes... In this section, you will come across many names that will stand out such as: the Coxinha (de galinha), the Pão de queijo, the Bolinhos de Bacalhau or even the Linguiça frita ou grelhada, just to name those few. In Brazil appetizers can be eaten at the ubiquitous soccer or sports events, or at home to start an elaborate brazilian meal There are many different types, all reflecting Brazil's commitment to the good life and good times!